Commercial Turf Fertilization is your local, community-minded choice for a beautiful, healthy lawn. Our fully licensed professional lawn care team is proud to serve residential and commercial clients in Western Pennsylvania. Have weeds taken over your? Our weed control specialists can help! Our knowledgeable team will come directly to you and implement weed control methods to curtail the growth of unwanted weeds and prevent additional weeds from sprouting up in the future. Imagine having a lush, weed-free lawn that becomes the envy of all your neighbors and friends. 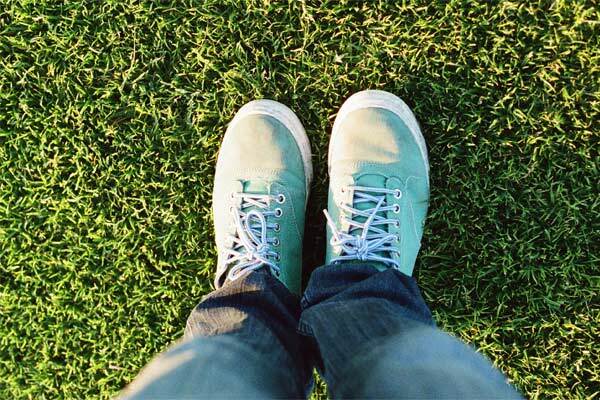 With Commercial Turf Fertilization, that beautiful lawn can now be yours! The first thing that customers, friends and family members will notice about your home or business is its landscaping and professional lawn fertilization services. A well-kept lawn will make your property look more appealing and give you pride in your home or business. That’s why area homeowners and businesses in Erie and Pittsburgh rely on the professional lawn care services of Commercial Turf Fertilization. At Commercial Turf Fertilization, we make your property stand out with our professional lawn care, weed control, insect control and tree/shrub care services. Our experienced, fully licensed team of lawn care professionals give your lawn and landscape the expert ongoing care and maintenance they need to stay healthy, attractive and enjoyable. We are so glad we have Commercial Turf fertilize our lawn-especially this year. All of my neighbors are mowing their weeds-I don’t have to mow-I’M GOLFING!! Fertilizer is an important tool you can use to keep your lawn green, lush and healthy. Unfortunately, caring for a lawn takes time, energy, knowledge, and experience that can make it difficult for property owners to do the job on their own. That’s where CTF can help. With over 100 years of combined experience, our detail-oriented team can make your lawn, trees and shrubs healthy by using the current innovations in lawn care and time-tested techniques. Your home is a special place, and you deserve quality, affordable lawn care with a special attention to detail. Our team is dedicated to providing exceptional service with a friendly touch, and it’s our promise to treat your lawn with the same care and concern that would our own. Businesses and schools have special needs, and our professional staff has the knowledge and experience to tend to them. When you hire CTF, you can be assured that you’re getting highly trained professionals on your property who are dedicated to making your business look amazing. Are you ready to take your lawn from bland to grand? Join our ever-growing list of satisfied customers today and experience the Commercial Turf Fertilization difference for yourself. Simply give us a call today and we’ll arrange for your free estimate at a time that’s most convenient for you. As a locally owned and operated business, we feel a special responsibility to serve our community to the absolute best of our ability. Our highly-trained staff has over 40 years of combined experience treating our clients’ properties, and as fully licensed experts, we have the professional qualifications to back up our work. Start seeing results from the very beginning! Ask us about our free lawn analysis to get an idea about the types of treatment and care your lawn requires. We know that you have plenty of choices when it comes to professional lawn care. You deserve quality lawn and landscape care for your hard-earned money, and from friendly, knowledgeable professionals who are trustworthy, experienced and dedicated to their craft. You deserve expert service from a community-minded company who is true to its word and goes the extra mile to assure the satisfaction of each and every client. That company is CTF. That is the CTF difference! Are you looking for affordable, exceptional lawn care services for your home or business? Commercial Turf Fertilization is your local, family owned and operated, community-minded choice for a beautiful, healthy lawn. Our fully licensed team is proud to serve residential and commercial clients in Western Pennsylvania. Contact us today for your risk-free, no-cost turf analysis. Your lawn will thank you for it! Yes! I'm Ready for My FREE Estimate!